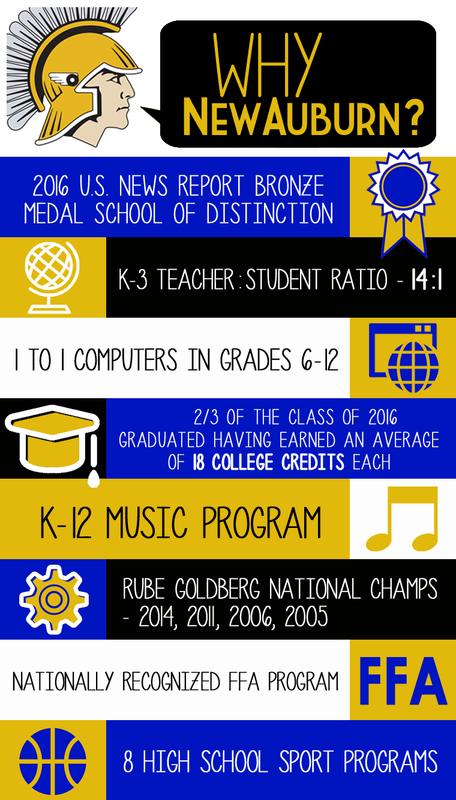 New Auburn School District - Why New Auburn? You are currently on this page - Why New Auburn? The New Auburn School District is a pre-K through 12th grade public school offering big opportunities for students! Located right off of highway 53, many families choose New Auburn for the small town experience for their children. Copyright © 2019 New Auburn School District. All Rights Reserved.